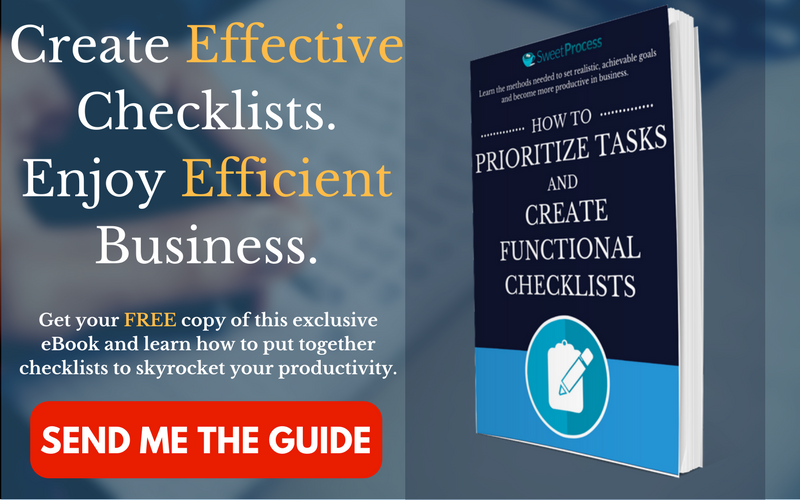 Free Bonus Content: Get Your Free Guide on How to Prioritize Tasks and Create Functional Checklists! Click Here To Download It. Is Your Problem Stress or Lack of Management Skills? We all have the same 24 hours in a day. Yet we often hear about highly successful people who somehow manage multiple companies, seemingly with ease, while most of us in employed positions struggle endlessly with our day jobs. This is not to imply that all entrepreneurs, founders, and CEOs are stress-free; rather, if the magnitude of work equals stress, then the health toll on the former should be incalculable! Given that some people manage to do so much without many of the side effects so many of us endure, it stands to reason that stress isn’t the product of excessive work itself, but rather a result of how people respond to situations. In other words, with the right tools, strategies, and habits, a person can easily overcome any stressful situation and be more productive. More often than not, the reason why people become unproductive is that they lose sight of their goals and start to drift through the day. In this article, we discuss ways for professionals to use checklist apps to organize their day so they remain in touch with their objectives as well as plan their time better. Let’s dive in! Chapter 1: How the Checklist Came to Be. Chapter 2: Behold! The Modern Checklist App. Chapter 3: Do I Really Need a Checklist App? Chapter 4: Finding the Perfect Checklist App for Your Company. Chapter 5: Our Recommended Checklist Apps for Business Process Management. Chapter 6: How to Use a Checklist App. Chapter 7: Ready to Become a Productivity Powerhouse? Few instances remind us of how important even the simplest of tools can be, and checklists happen to be one of them. Let’s look back at one momentous example. The year is 1935. Boeing has just won the US Army Air Corps bomber contract with its Model 299 against Martin’s Model 146 and Douglas’s DB-1. All that remained was a final flight to be carried out by two highly experienced pilots: Major Ployer Hill and Lieutenant Donald Putt. Engineers Henry Igo and CW Benton, as well as Boeing chief test pilot Leslie Tower, joined them. 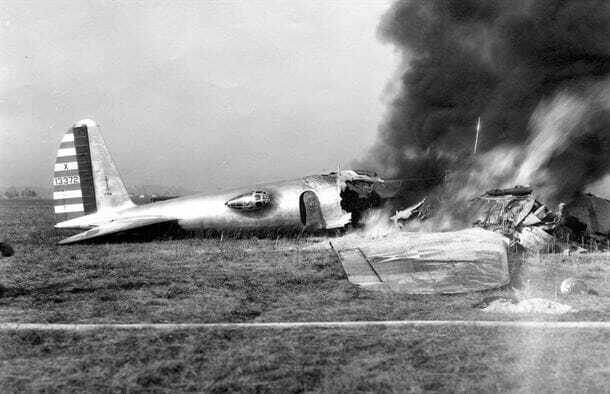 The plane took off normally only to stall a few seconds later, fall to the ground and burst into flames. All aboard escaped, but tragically, the two pilots succumbed to their injuries in the following days. Image Credit: National Museum of the US Air Force. 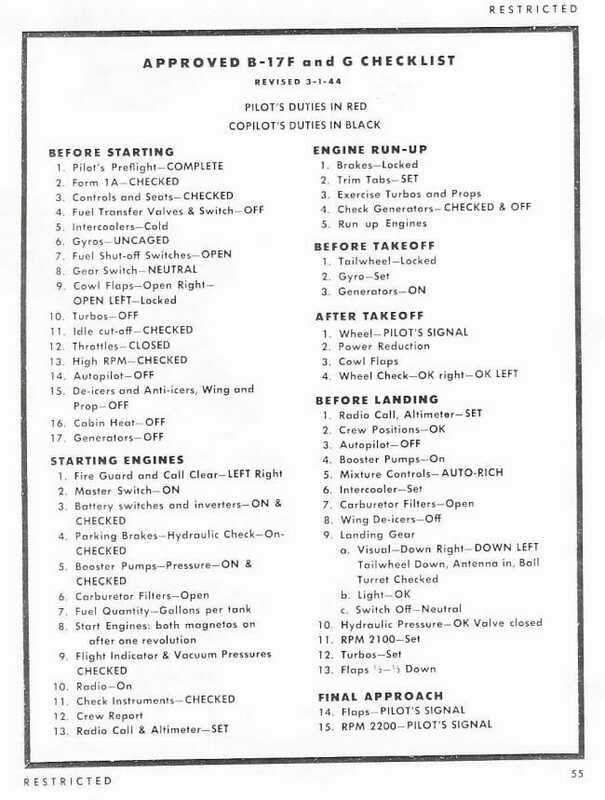 Boeing, therefore, solved the problem by creating a series of four checklists: one each for take-off, flight, before landing and after landing. The Model 299 went on to be rechristened by the army as the legendary B-17, which flew nearly two million miles without incident. So why is this story relevant? Because today, we receive five times more information than we did in 1986. To perform optimally in such a data-dense environment means that we need every effective tool at our disposal. In this case, checklists, despite their simplicity, have proven their worth time and time again. Today, every major industry, from commercial transportation to healthcare, aviation, and food production, uses checklists. Their utility is obvious in any form of complex work. That being said, in this day and age, we need tools that can adapt to the multi-dimensional nature of modern work. Checklist apps, the successor to the humble checklist, are the perfect answer. Let’s take a look at how they can help you become the productivity maestro you always wanted to be! Checklist apps have been around for a while and have morphed into powerful productivity tools that can help you with everything from grocery shopping to managing multi-team projects. What Is a Checklist App? 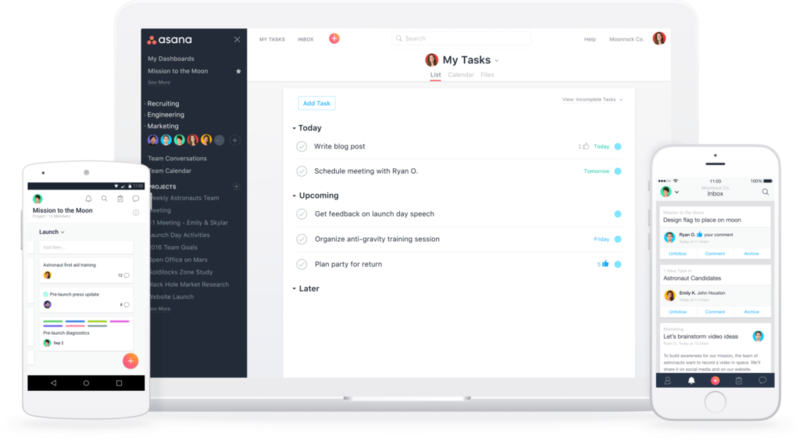 Checklist apps range from simple list makers to exhaustive cloud-based collaboration tools you can use to create tasks through typing or voice command, delegate them to colleagues, track their progress, integrate with other apps, and even reward productivity. Their principle USP lies in helping users stay focused on the task at hand with a secondary emphasis on the totality of a project. By keeping things simple and to the point (literally), a checklist app helps you cut through the clutter of day-to-day life and remain on target. Track task and project progress. We at SweetProcess know firsthand how hard trying to find the right app for your particular requirements can be as each boasts promising features that can (apparently) solve your problems just like that. Now checklist apps, much like the concept, come with a catch. Many of the tools and processes we see are built around assumptions of what some of the commonly accepted issues that most people face are. If you are not one of the chosen ones, then chances are that slick little app might not help you after all. Ease of use: This one seems obvious, but surprisingly, many checklist apps cram in so many features that it becomes a nightmare to find what you are looking for. All the apps discussed here are built around the understanding that being productive revolves around restricting information and making both finding and using information a piece of cake. Information capturing: The whole point of a checklist app is to help you remember stuff, which becomes more difficult if it takes several steps to add something to your to-do list. Our selected apps have made it super easy to create lists so you spend less time adding tasks and have more time to actually tackle them. 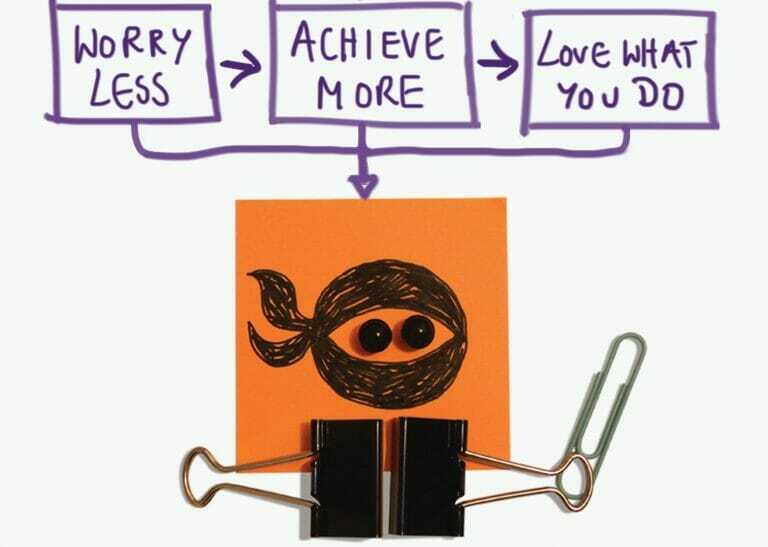 Task visualization: It’s so easy to get lost in the mountain of tasks that we often lose sight of the whole. A good checklist app should give you a bird’s eye view of your progress upon startup so you know exactly where you are. Task organization: Each app treats organization differently; however, some do it better. The apps discussed here are ideally suited to organizing large batches of work that professionals would face. 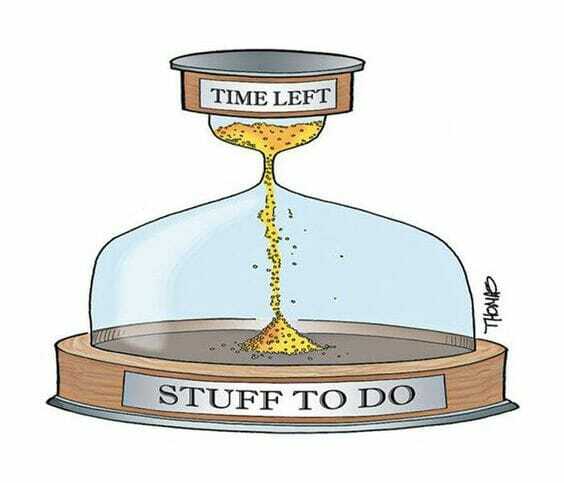 Time tracking: Hands down the most important aspect of any productive activity. The best checklist apps make it easy to track hours spent by you and even team members. Reporting features: The best checklist apps generate succinct reports that aid in decision-making. Reputation: How well has the app been received? The best apps leave a paper trail of good reviews to their credit. Get Things Done (GTD) Apps: Named after David Allen’s famous book of the same name, GTD apps are the “We Can Remember It for You Wholesale” of productivity. These comprehensive packages can help you out with everything from tackling your groceries to managing massive projects. Features like time management, team-based collaboration, sub-lists, and more are common. Note-taking Apps: Simple, lightweight, text-based apps that can help you quickly jot things down on the fly. Not many features here, but may prove useful if collaboration isn’t needed. Grocery List Apps: Simple listing tools that let you add tasks one after another. Kanban Board Apps: For right-brain dominant users, kanban board apps let you create visual workflows to get a quick snapshot of your upcoming tasks. For the purposes of this article, we focus on GTD suites and kanban board apps as they are ideal for busy professionals looking for a way to manage their hectic workflows. Business Task Management vs. Personal Checklist Apps. If you are busy professional looking at a massive list of to-dos that require help from several others, then simple personal checklist apps made for managing grocery lists and the like may not suffice. Cross-Platform Integration: We are rarely just restricted to one device today, which is why an app that can work seamlessly on all popular platforms, whether a PC, Mac, Android smartphone or iPhone is ideal for project management. Collaboration: Assign tasks to team members and share relevant lists or files with them. Integration with Different Apps: Dropbox, Evernote, Salesforce, Gmail, etc. Professionals often find themselves switching between different apps throughout a day. A good checklist app integrates with most popular apps so you can manage your tasks from one central hub. If the sheer number of titles on how to stay focused on the internet is any indication, then we humans seem to be at a cross-purpose with ourselves. You know what I am talking about, don’t you? That tug of war that keeps going on inside our heads between what we know we have to do and what we want to do right now. Plenty of reasons have been pointed out as to why such trends prevail — a distracting environment (read office gossip), too little sleep, too many priorities, poor management skills. The biggest culprit (for lack of a better word) is technology itself. No doubt, new tools have forever changed the way we work, but as it turns out, we were hopelessly ill-prepared for the massive amount of information that it suddenly gave us access to. That being said, technology has also provided us with awesome tools that can help us overcome our productivity woes as well. Checklist apps are a great example of technology being put to good use; these invaluable tools help us complete intricate and complex tasks, especially as our memory is far from infallible. Do you have a tendency to forget? Do you lose track of time easily? Is your work from one day always overflowing to the next? 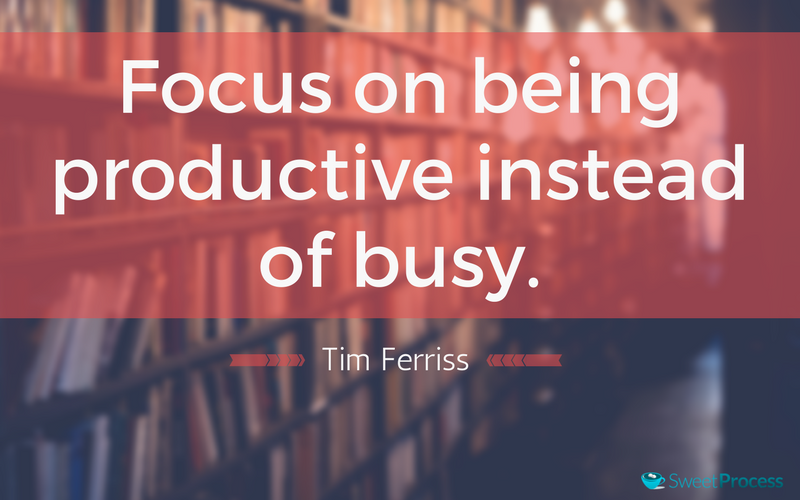 Do you constantly find yourself prioritizing the wrong tasks? Do you have a habit of taking on more work than you can handle? Are you always telling yourself that tomorrow will be the day when you will get everything done? Do you have difficulty visualizing how your day will look? Have your friends and co-workers ever commented on your (lack of) organizational skills? Are you a knowledge worker? Does your work include complex projects that require collaboration with multiple team members? Are your tasks repeatable and can they be automated? Do you have to work with remote workers? Most of these scenarios are what checklist apps are designed to help mitigate, so if you answered yes to at least a few, then you can definitely use a checklist app in your life! Simple One-Off Tasks: The simplest type imaginable, these tasks are ones that suddenly crop up and need to be done immediately. Think drawing a spec sheet, updating a contract, or creating a progress report. If most of your work falls into this category, then a paper checklist can suffice although a simple grocery checklist app can help you keep your lists organized for future reference. Simple Recurring Tasks: Essentially, daily chores that we know we have to do on a recurring basis. Updating a website, sending reports, taking stock, backing up data and keeping in touch with customers are some examples. Most checklist apps out there can help you out with these as reminders, and recurring reminders are a common feature. Complex One-Off Tasks: These are essentially mini-projects that require collaboration but do not need to be repeated. Creating a website or an app are good examples here. This is where simpler to-do apps start to lose appeal. Complex tasks are best handled with feature-rich checklist apps as you will need frequent reminders; the ability to manage multiple, elaborate lists; and collaboration tools to work with team members. Plus, these tools also need to be available for all devices so that you are always on top of things. In particular, Asana and Trello are ideally suited for such tasks. Complex Recurring Tasks: The day-to-day routines of hospitals, food chains, IT companies, etc. These tasks require collaboration and are essentially company best practices. The catch here is that many such tasks are often very hard to recognize as recurring. As noted in this article on the digital workplace, when we look deeper into processes in a knowledge-intensive workplace, we find that they are never completely Even if we are re-implementing the same process, the context in which it is executed usually changes from one project to another, meaning that the process has to be redesigned all over again to suit the particular challenge. Creating efficient practices that utilize the right tool and approach at the right time is the best way to ensure such tasks are properly carried out. As we need the proper amalgamation of procedures and adaptability for such tasks, apps like Sweet Process that focus on creating standard operating procedures rather than just to-do lists are a good fit. Ask yourself which of the scenarios discussed above are your tasks most likely to fall under to choose an app that fits the bill. Remember, we do not want to load up on features that will just sit there, gathering digital dust, so let’s take a deeper look into what some of these apps are and what they can do for you. Chapter 5: Our Recommended Recurring Checklist Apps for Business Process Management. By now you should have a fairly good idea of the sort of features you want in your ideal checklist app. Now, let’s go over some of our suggested apps and how they can help you out. Can integrate with over 500 other apps, such as Zapier, Dropbox, Evernote, etc. One of the most popular to-do apps out there, Wunderlist rolls lists, reminders, and note-taking into one neat little package. It’s so good that Microsoft decided to acquire it for around $200 million. Wunderlist is the perfect checklist app if you are looking for something to help you out with simple one-off tasks with limited recurring task support. As it’s available for every conceivable platform and features reminders to boot, you no longer have any excuses to avoid your tasks! Oh, and the app offers most of its powerful features for free. You can create lists that can be added to their respective folders. Plus, you can assign due dates each of your lists and add reminders to any task. If you are in your inbox and can’t be bothered to log into the app to create a task, then send it as an email. The app also features updates via push, email, and in-app notifications. Notes can be added to capture your ideas, and you can leave comments on tasks. Lastly, you can choose from 20 background images to customize your app screen. Collaboration: The free version of Wunderlist allows you to share your lists with other people and assign 25 to-dos within each list. You can create 25 subtasks per to-do as well. If you are looking for more collaborative tools, then the pro version available at $4.99 per month permits unlimited assigning and unlimited subtasks. Unique features: Add tasks simply by typing a time, such as Tuesday, next week or next month. You can get a quick glance of late tasks at the overdue tasks counter. Wunderlist recently added a duplicate list feature that lets you reuse a list as a template. Add context to your projects with hashtags in Wunderlist: Not only great for organizing your work, hashtags also provide context to your tasks. A context in GTD speak refers to a time, resource, person or location limited aspect. Multiple projects or tasks can share the same contexts, so that can give you an organizational dimension. For instance, if your list of tasks that do not belong anywhere is growing, then you can quickly organize them through the #miscellaneous hashtag. Likewise, tasks can be organized as #email, #phone, #pc, etc. Check out this article for more on Wunderlist contexts. Price: Free, Premium version: $29/year, Business version: $29/user/year. Can integrate with 65 apps, such as Google Drive, Dropbox, Slack, etc. While most checklist apps take their own route to look and feel, Todoist is instantly familiar thanks to an email inbox like interface. The low-key design with project templates makes it very easy for you to create assignments with tasks and subtasks. In fact, adding tasks is a breeze as not only can you create them within the app, but also via email as well as a plugin you can install to your Gmail, Thunderbird or Outlook. Moreover, the app is web-based and works on all popular devices. And like other apps in its league, it allows users to add comments to tasks and upload files. What sets Todoist apart is its intuitive date feature and recurring dates. The app can understand plain language, so typing in something like Tuesday at 9 AM or every Wednesday at 10 AM will schedule the task or set a recurring task. Collaboration: You can add people to projects, assign them tasks and even discuss details with them through in-app comments. 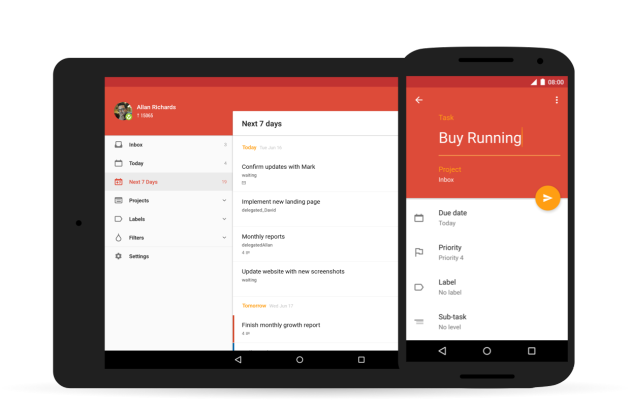 Todoist launched a feature called Next that alongside design upgrades made it possible for users to invite anyone to collaborate on tasks. Todoist’s business version brings even more powerful features, such as activity logs that let team members see the progress on tasks. You can also filter by date, person, project, and action. Notes can be attached to specific projects as well. Unique features: Todoist is one of the few apps out there that gamifies productivity. Todoist Karma reports your progress in an easy-to-follow graph and also assigns you a score based on your productivity. The labels offer a myriad of ways to organize your tasks too, so check them out. YouTube reviewer Francesco D’Alessio points out some awesome hacks for Todoist. Use this Chrome extension to insert emojis to your project titles for a more visual touch to your to-dos! Add a review section where you can dump tasks that are irrelevant right now. Review them periodically and add them to relevant folders or remove them entirely. Hit the ground running by changing the Todoist start page to any of the projects. By doing so, you will land straight on that page upon login. Attach location-based reminders (works on premium version only), so for example, if you have a task you need to start when you get to work, you can make Todoist issue a reminder when you reach the office. Price: Free, Premium version: $9.99/month, Enterprise version: Available on request. Projects: Categorized under workspaces are your projects, which you can organize and prioritize. Tasks: Categorized under projects, tasks are your upcoming to-dos. You can add due dates, responsibilities, comments, and notes to your tasks and also create sub-tasks within them. Collaboration: Most checklist apps make use of chat, comments, and assignments as part of their collaborative features. Asana does all that and more. The dashboard allows teams to track progress on a project. Both tasks and subtasks can be assigned to team members and guests, such as your partners; plus, contractors and vendors can be invited to work on specific projects as well. Unique features: Asana has paid special attention to progress tracking via the dashboard. Conversations can be carried out at both the team and project levels. Finally, you get a smart inbox where you will be shown only your work, so no analysis paralysis! Asana hacks: Asana has some pretty cool “hidden features” that can help you out. Instantly convert emails into tasks by mailing to them to your x@mail.asana.com The email subject line becomes the task name, the body becomes the task notes and whoever is cc’ed to is subscribed to the task. Attachments can be sent via email as well. Use the Asana Chrome extension to turn any page into a task. The page’s name becomes the task name, and Asana will add the page link to the description automatically. Enable Inbox Snooze in Asana’s “Hacks tab” to stop receiving messages for an hour. Price: Free, Business version: $9.99/user/month, Enterprise version: $20.83/user/month. Boards: The “project” space where you can add tasks and lists. You can share boards with colleagues. Lists: A list helps you keep your cards organized as per their progress. Lists can be used to create a workflow or to just add ideas and information. Cards: The fundamental unit of a Trello board, a card is anything that needs to get done. Use cards to add tasks and then delegate them to one or multiple colleagues. Each card can include a checklist with subtasks that can be checked off to report progress, and color-coded labels help organize the tasks. You can add a due date to a card, which shows up as a badge on the top. Collaboration: You can invite as many people to a Trello board as you want for free! Simply drag and drop people to a card, and they will be assigned the task to it. Adding comments or uploading attachments alerts everyone on the task. Should a colleague move a card around, the changes show up at your end in real time. 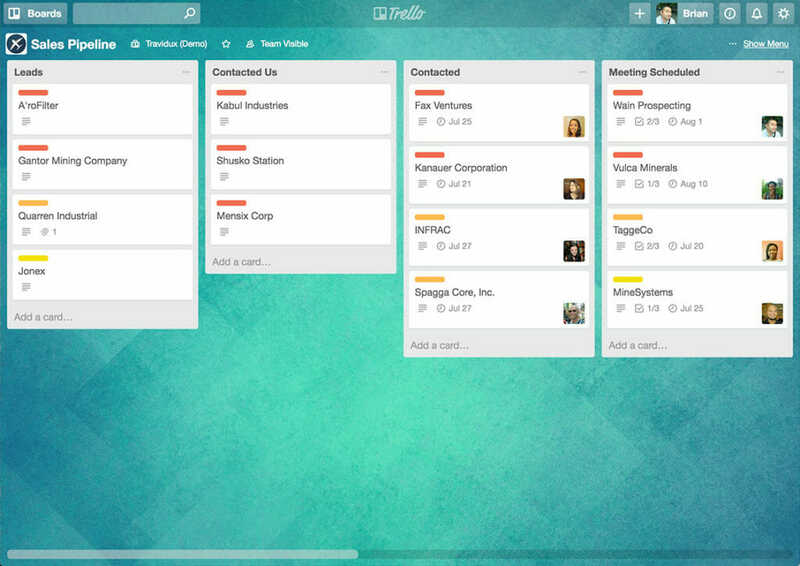 Users can create multiple boards around multiple projects and teams to keep things organized. Unique features: If the native features of Trello just won’t cut it, then you can go for its “power-ups,” which essentially refer to integration with third-party apps. Until recently, power-ups were only available to paying customers, but they have been made free for everyone now. Trello can integrate with over a dozen different apps, such as Dropbox, Slack, and Evernote. Turn a Trello board into a content calendar for your website’s blog. Trello lists can be used for months while information about the posts can be added to the cards. On your side menu, go over to “email to board” setting and get your unique Trello email address. Now, send an email to this address to turn them into cards/tasks. Use the colorblind friendly mode to make your Trello boards even more visual! Enable the “card aging” power-up that causes cards that have not been opened or updated in a while to slowly fade away. You can clone a Trello board between projects if they share the same structure. Here’s a video that gives a quick overview of how you can use SweetProcess to document procedures for your company. The image below is a screenshot of the procedures dashboard. Standard operating procedures (SOP) have been drawing flak for being too rigid and often outdated practices that do little to aid productivity. Nothing could be further from the truth. The militaries around the world have an SOP for virtually everything, doctors use them, and engineers swear by them. SOPs are also the difference between successful companies and failed ones as they help provide a more consistent level of service. The key factor, however, is creating and implementing processes useful to a company’s particular challenges. And that’s what SweetProcess helps enable. SweetProcess is essentially divided into processes that include procedures that include steps. It also allows users to document policies. Check out this article titled “The Key Difference Between a Policy, Process, & Procedure (and Why it Matters To Your Business!)”. Users can either start by naming a process that they want to document and add procedures to it as they see fit. Each procedure is essentially a checklist with a series of steps that can be checked off as they are completed. Both processes and procedures can be assigned as tasks to members. Each task comes with a progress bar on top that fills up every time a step is completed. Collaboration: SweetProcess makes it very easy to create a team and add members to it. Once a member is added, you can assign tasks to them, and the system will interactively guide them so that they do not miss any steps. The tasks themselves can be one-offs, repeated daily, weekly, monthly or yearly. Users can also add comments to a task to discuss things and ask questions. The system will keep a close eye on each of your team members as they complete their tasks and report their progress. The best part is that SweetProcess can also help you refine your processes to amp up your productivity. 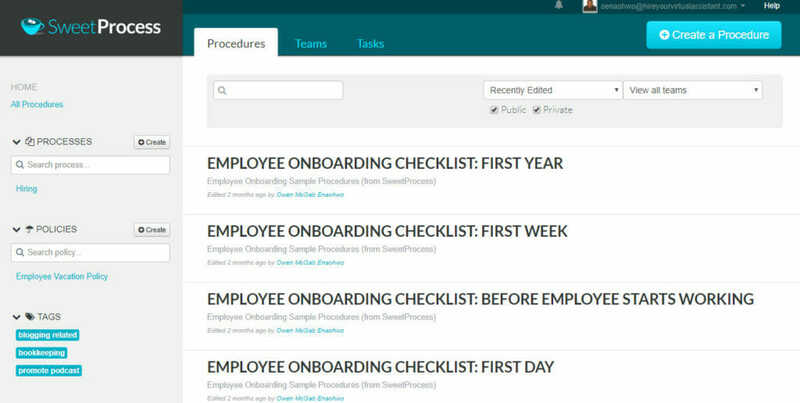 Unique features: SweetProcess takes a more holistic approach toward task management while incorporating checklists. Unlike most of the other checklist apps discussed above, SweetProcess is all about training existing or new employees in processes and procedures. Though used as part of the effort, checklists aren’t the central focus here. As noted earlier, processes in a knowledge-intensive workplace need to adapt to changing conditions; SweetProcess makes this very easy. A worker can make suggestions and ask questions on the fly as they are working and even edit the task to suit a particular account. Where SweetProcess shines is helping you set up processes and procedures unique to your own company work culture and requirements. It’s all too common a sight for employees to constantly ask for supervision when dealing with similar problems. SweetProcess eliminates the repetitiveness in such situations by allowing you to document each process in a step-by-step fashion. You can share your documented processes with current or future employees so that they can educate themselves rather than rely on your supervision. Finally, you can assign your documented processes as tasks and track them online through completion too. Any of the options described above could fit the bill for most heavy-duty professional demands. That being said, productivity has a catch too. The whole idea behind tools is to free up our time to commit to the task at hand. More often than not, we end up spending more time browsing through apps and organizing our tasks than completing them. Your checklist app should be part of a process and not the other way around. Getting an app before a workflow process would be like buying the most expensive tennis racquet while having the worst swing on the court. Focus first on creating efficient, dependable workflows, and then find out which checklist app suits your needs. Adding tasks to a to-do list is no guarantee that they will ever get done. Start slow and easy. Use prioritizing features to show you only tasks and information that need to be done immediately. Never multitask if you can help it! Yes, to be able to do multiple things simultaneously is a badge of honor, but it can actually hurt your productivity. 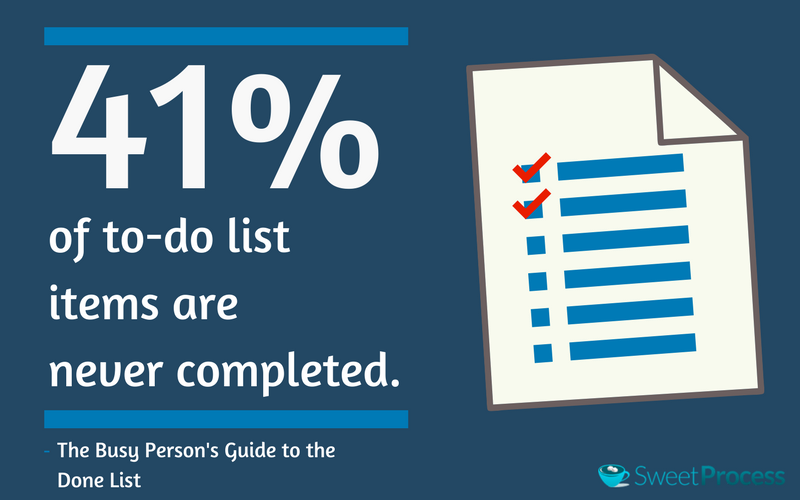 The longer your lists are, the less likely you are to complete them. All the tools above come with subtasks, use them to break bigger tasks into smaller goals. Ideally, you should take on one to five tasks a day, depending on the amount of time required. 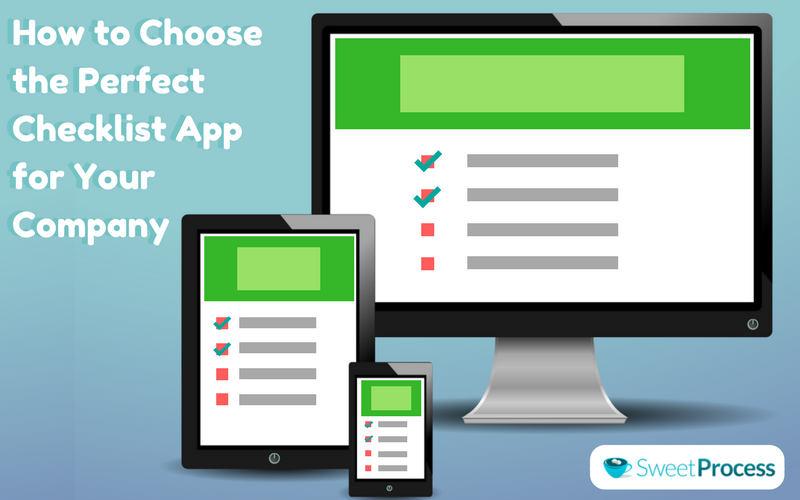 Choose one checklist app, then stick with it. Having too many tools for simple or even similar tasks can be overwhelming. If you are using different platforms, then use the integration feature in your checklist app to consolidate your efforts. Make templates for recurring processes, and if possible, automate or delegate them. Way back in 1929, economist John Maynard Keynes wrote an essay titled “Economic Possibilities for Our Grandchildren.” In it, he envisioned a future a century onwards in which people would no longer need to worry about money, work three hours a day (which would still be an overkill), and lead an idyllic existence. No points for guessing that Keynes was way off! Today, stress is at an all-time high as the modern professional is bombarded with errands and tasks on all flanks. A recent Microsoft study even shows that our ability to hold a thought has gone down from 12 seconds in 2000 to 8 seconds today. So, we are busier than ever. But it’s not like we can just wish it all away; the problem is inevitable, given the hyper-competitive nature of today’s society. There is always that other guy or gal who is willing to work harder than us for the same salary or someone trying to beat us to the market with a new product. In other words, the utopian existence Keynes envisioned is still a fairly nebulous future. That being said, while technology and innovation have made our lives more cluttered, it has also provided us with a way out. Productivity tools such as checklist apps have been around for some time and are becoming better with every passing iteration. The apps discussed here are ideal for professionals looking to get more work done. Follow this guide, and you should have found a checklist app for your professional requirement. Lack of productivity is not due to the work itself; rather, it’s the result of poor management skills. Productivity tools like checklist apps offer helpful ways to break down tasks and help you focus on one thing at a time, thereby alleviating your management woes. Checklist apps for business tasks are better equipped to help professionals out as they come with rich project management features. Develop good productivity habits and focus on creating a workflow first, then find the best checklist app for it. Try not to multitask! There’s a growing body of evidence on how bad it can be for productivity. Once you have created a robust workflow and have found a checklist app that matches your style, use some of the hacks given to work even faster! We hope you enjoyed reading this article. Now, it’s hard enough to stay on track when you are working on a project, but figuring out which tasks should go on your checklist and which can wait is a skill in itself! All too often, people end up putting the wrong tasks on the top of their lists; afterward, things simply spiral out of control. In our free guide on How to Prioritize Tasks and Create Functional Checklists piece, we reveal a process of how to classify your tasks so that you can get the right tasks where they belong. What I’ve heard is Wunderlist is going bye-bye. Do you know something I don’t know? Hi, Ashish SweetProcess our software allows you to document Standard Operating Procedures (SOPs), Processes and Polices… You can also assign tasks to employees using our platform… this way employees have the instructions on how to carry out each task. Do you have built-in communication capabilities like slack? Hi, Chris in SweetProcess you can communicate in real-time with your employees as Y’all collaborate to document your procedures. 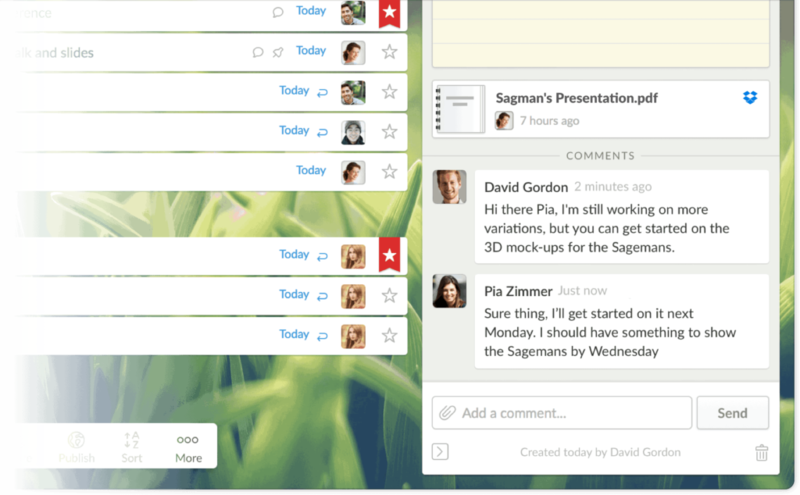 Also, you can communicate with employees as they work on tasks you have assigned to them. I’m a big fan of Teamwork Projects. I’ve used and loved Wunderlist and Asana, but Teamwork is the most robust and customizable for teams. I work remotely and it keeps everyone and everything on the same train. Great information. Quick question. Is there a limit to how many people you can communicate with, using SweetProcess??? You can communicate with as many employees as you add to your company’s SweetProcess account. Best post i ever seen. But i have a question. How much it cost to full feature for SweetProcess App? Please reply asap. SweetProcess has a base price of $39 per month which covers up to 8 employees. There is also an additional $5 per-active-user fee once you have more than 8 employees actually using SweetProcess. So let’s say you added 100 employees into SweetProcess but only 10 employees actually used SweetProcess this month… you will only pay $49 (< <<--- $39 base price which covers up to 8 employees + $10 for the 2 additional employees) For more details see https://www.sweetprocess.com/help/questions/30/how-does-billing-work/.